August 15, 2010 – On this Solemnity of the Assumption of the Blessed Virgin Mary, we also celebrate the 60th Anniversary of vows for Mother Julianne Allen. As most of you know she was a Sister of St. Mary of Namur and in 1990-2005 Abbot Philip Lawrence of the Monastery of Christ in the Desert appointed her as the superior of this community. On February 2, 2005, Mother Julianne transferred her vows to the Monastery of Our Lady of the Desert. Her favorite quote is Be still and know that I am God, taken from Psalm 45 In simplicity and joy I have given all to God. 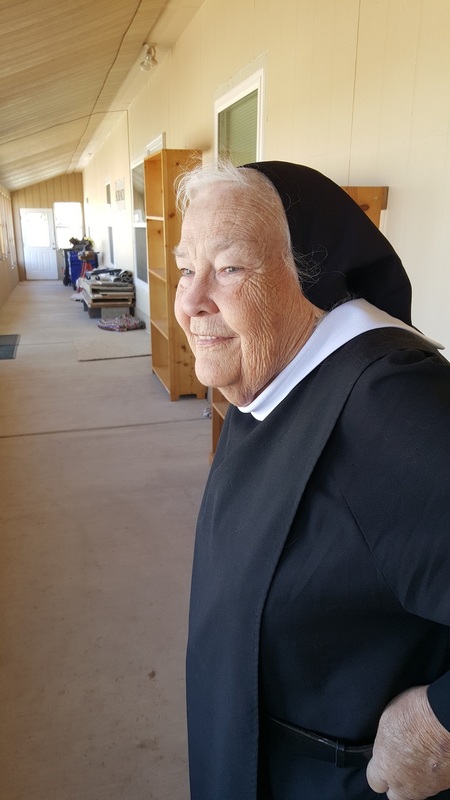 Please join us in congratulating Mother Julianne for her 60 years of dedication to the religious life. 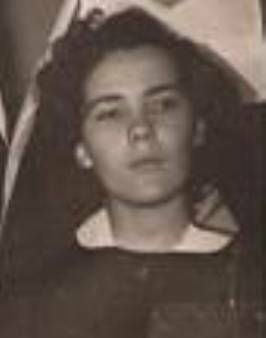 A picture of Mother Julianne when she was a postulant taken in 1950.